From the explorers of the Americas to the issues of today's headlines, American History investigates the people, events, and stories of our nation's evolution. The Alabama Virtual Library provides all students, teachers, and citizens of the State of Alabama with online access to essential library and information resources. It is primarily a group of online databases that have magazine, journal, and newspaper articles for research. CultureGrams from ProQuest goes beyond basic facts and figures on more than 200 countries, with up-to-date reports detailing daily life and culture, history, customs and lifestyle from an insider's perspective. The Gale Virtual Reference Library provides access to reference titles on the environment, history, religion, and natural science. historical resources from Salem Press. 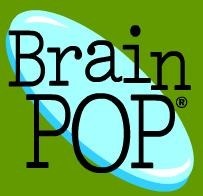 Learn more and understand better with BrainPOP's animated movies, games, playful assessments, and activities covering Science, Math, History, English, and more. Explore our eBooks on a variety of topics.